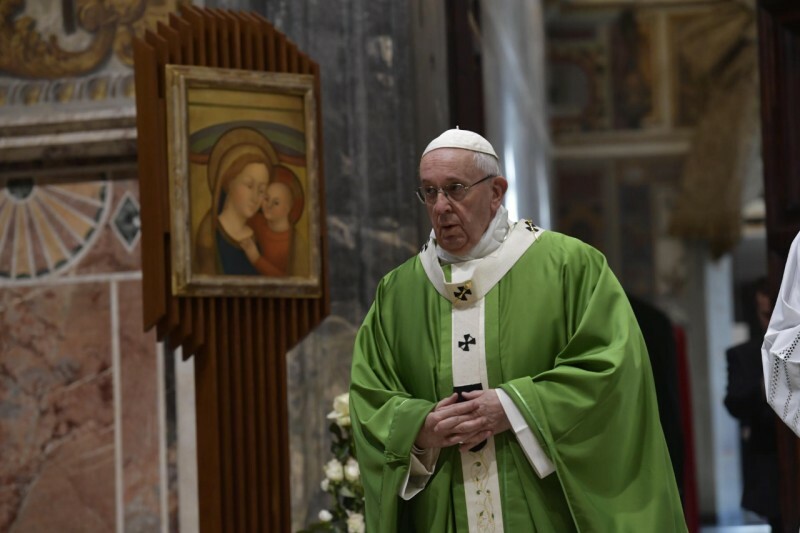 After praying the noonday Angelus with the crowd of pilgrims in St. Peter’s Square on February 24, 2019, Pope Francis reflected on the just-concluded abuse summit on The Protection of Minors in the Church, held February 21-24, at the Vatican. The Holy Father stressed the importance of handling the crisis in a collegial manner, having Church leaders from around the world address the issue. As a result of the meeting, he said there is a greater understanding of the responsibility of the entire Church to eradicate abuse. A very important Meeting ended this morning in the Vatican, on the subject of the Protection of Minors. Convoked were Patriarchs. Presidents of all the Episcopal Conferences, the Heads of the Catholic Eastern Churches, the Representatives of men and women Superiors of Religious Congregations and several collaborators of mine in the Roman Curia. As you know, the problem of sexual abuses, in dealing with minors, by members of the clergy, has caused for some time grave scandal in the Church and in public opinion, be it by the tragic sufferings of the victims, be it by the unjustifiable lack of attention in their dealings and the covering of the guilty by responsible persons in the Church. As it is a problem spread in every Continent, I wanted to have it addressed together, in a co-responsible and collegial way by us, Pastors, in the Catholic community throughout the world. We heard the voice of the victims, we prayed and asked God and the offended persons for forgiveness, we became aware of our responsibilities, of our duty to do justice in truth, to reject radically every form of abuse of power, of conscience and of sexual abuse. We want all the Church’s activities and places to be always fully safe for our minors; that all possible measures be taken so that similar crimes aren’t repeated; that the Church return to be absolutely credible and reliable in her mission of service and education for little ones according to Jesus’ teaching. Thus we will be able to collaborate with all our heart and with efficacy, together with all persons of goodwill and to all the components and positive forces of society, in all countries and at the international level, so that in every way the very grave scourge of violence in dealing with hundreds of millions of minors, girls and boys, is combatted all the way in the whole world.